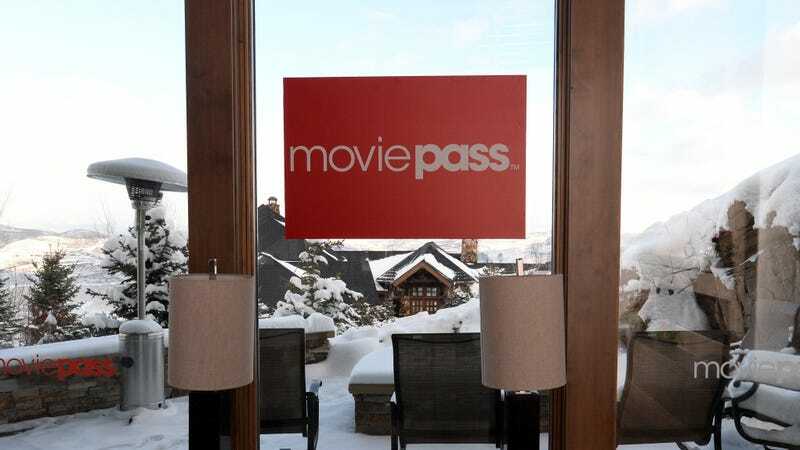 MoviePass has been operating for nearly a full year on its too-good-to-be-true premise of offering essentially unlimited movie passes to subscribers for just $9.99 per month. It’s the monorail and, according to a report from the Miami Herald, company CEO Ted Farnsworth sure seems like a dead ringer for Lyle Lanley. Farnsworth, the head of MoviePass parent company Helios and Matheson Analytics, has an impressively checkered past that is full of bizarre businesses and get-rich-quick schemes, and lawsuits. Per the Miami Herald, just four of the 50 companies Farnsworth has registered in the state of Florida over the last few decades are still active. Farnsworth’s still-operating companies include digital crime mapping platform Zone Technologies, video sharing service Stitch Videos, boating company Day Dreamer Charter, and nonprofit group Farwest Haiti Mission. And while those companies all surely have their own, interesting and questionable stories, Farnsworth’s failed ventures and the paper trail they left behind is far more intriguing. Last year, Bloomberg highlighted one of Farnsworth’s most out-there attempts, the Psychic Discovery Network. The company offered a 900 number hotline that people could call into and receive psychic readings. The company, which pitched its services through TV ads, was surprisingly successful for a minute, and Farnsworth even managed to rope in singer and actor La Toya Jackson for a commercial at one point. The hotline went cold eventually (you would think at least one of the psychics would have seen that coming, right? ), but not before racking up a whole heap of consumer complaints—at least 50, per Bloomberg. Things got so bad that the Federal Trade Commission named Farnsworth’s company on a list of abusive pay-per-call services. Through his many ventures, three companies associated with Farnsworth managed to go public—though none of them fared particularly well once they got there. Per Bloomberg, all of the companies saw their value drop by 99 percent, below $1 per share in each case, during Farnsworth’s tenures with firms. One of those companies was XStream Beverage Network, which Farnsworth launched in 2001. He talked up the company, promising to purchase a European energy drink called Dark Dog and take on Red Bull. The promised deal never went through, and Farnsworth stepped down as chairman in 2007 with XStream Beverage Network’s stock completely sank. Within a month, Farnsworth was back at it again, this time as the CEO of Purple Beverage Company. According to Bloomberg, the tiny company managed to make it stock price jump when Farnsworth signed up a slew of celebrity spokespeople to sell the beverage, including Chaka Khan. As it turns out, not a lot of people take beverage advice from the lead vocalist of Rufus, and the company bottomed out. His third public venture came in 2012, as chairman of LTS Nutraceuticals, a multilevel-marketing vitamin company that operated in a similar vein as companies like Amway and Herbalife. At this point, you know where this story ends: LTS Nutraceuticals failed to make required regulatory filings and now trades for a fraction of a penny per share. During those spectacular tank jobs, Farnsworth was also taking on legal battles. The Miami Herald found eight civil suits filed against the MoviePass head and entities associated with him, most of which stemmed from unpaid bills and settlements. Per the Herald, Farnsworth was found to have skipped out on paying a $90,000 bill to a packaging company would running Purple Beverages, failed to transfer a promised $1.5 million worth of shares of LTS Nutraceuticals to a man who lent him $500,000, and missed payments on a $26,000 bill to FedEx. He’s also accused of violating a settlement agreement in an unspecified dispute, failing to pay a consulting agreement related to LTS Nutraceuticals, and was accused of owning Wells Fargo $76,000. All of that seems extremely shady! As Business Insider pointed out last week, a board member and major shareholder in MoviePass, Muralikrishna Gadiyaram, also has his fair share of questionable dealings in the past. He’s reportedly managed to get his company kicked off of two stock exchanges and is accused of defrauding investors. Anyway, seems like we’re all in good hands. Just to be sure though, you might want to go see as many movies as you can while you have the chance.